As The Wellness Designer, Janet specializes in interior “health” makeovers. 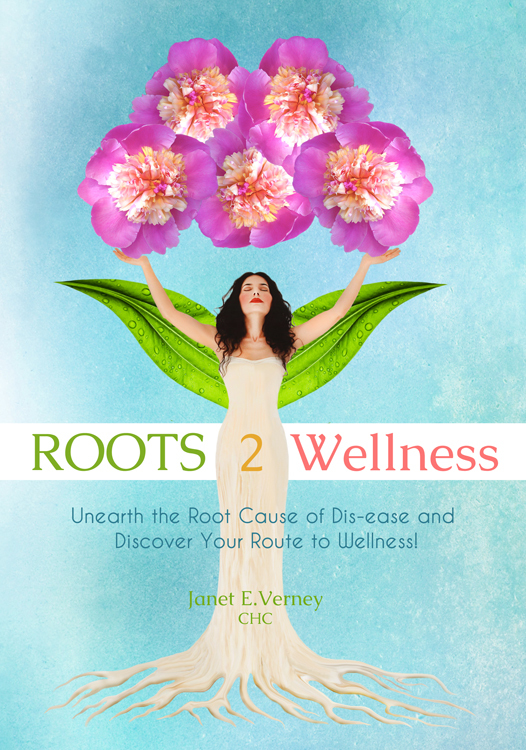 In her book, ROOTS2Wellness, she shares her inspiring journey from the depths of dis-ease to a life of vibrant wellness. Janet practices Integrative Medicine utilizing her methodology “Unearth, Weed, Nourish, Bloom” to transform one life at a time. She believes in the magic of miracles, the good in others, the power of action, and in the healing power of love, lifestyle, & good food. Janet is certified by the Institute for Integrative Nutrition and has served in various leadership roles in both education and biotechnology. She is an author, speaker, chef, certified integrative nutrition health coach, IIN Moderator for the Advanced Gut Health Course and founder of ROOTS2Wellness. "Janet's experience makes her a native who can guide and coach us through the difficult situations which life presents us all with. So read on and put together your wellness program." I’m looking forward to celebrating you as the lovely, loving being you are! If you would like to bring this signature workshop into your workplace, organization, or into your home to do with friends, contact Janet at connect@roots2wellness.com to discuss the details.